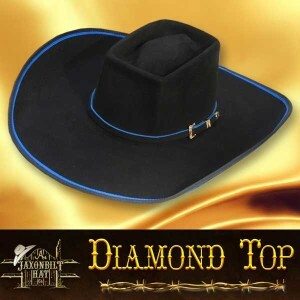 Custom fur felt hat with a Diamond Crown featuring a 4 1/2″ wide pro rodeo brim. 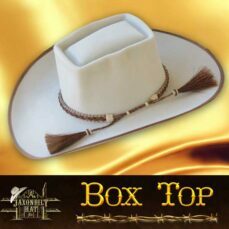 This hat is trimmed out with black and blue ribbon on the double bound Ace edge. 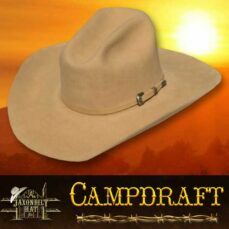 Add our optional 3 piece 24 k gold buckle set to harmonize the entire hat.